(Crocodylus niloticus) is the second largest of the world’s crocodilian species after the saltwater crocodile. It is widespread throughout sub-Saharan Africa, but occurs mostly in the central, eastern and southern parts of the continent and lives in a variety of aquatic environments such as lakes, rivers and marshlands. The range of the Nile crocodile once stretched from the southern tip of Africa and northward as far as the Mediterranean coast on the Nile delta. Although capable of living in saline environments, this species is rarely found in saltwater, but occasionally inhabits deltas and brackish lakes. 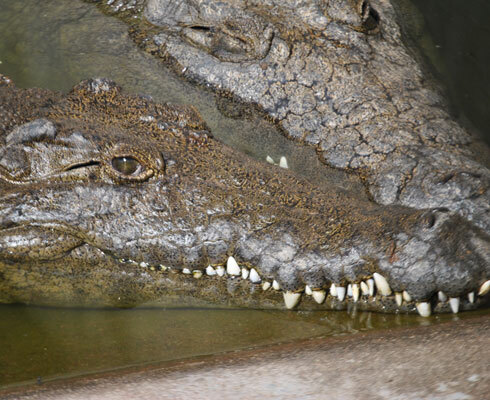 On average an adult Nile crocodile is between 4.1 and 5 meters long, and weighs around 410 kg. However, specimens measuring 6.1 meters in length and weighing 900 kg are not uncommon. The largest accurately measured male, found near Mwanza, Tanzania, measured 6.47 m and weighed approximately 1,090 kg. The Nile crocodile is an opportunistic apex predator and a very aggressive species of crocodilian that is capable of taking on prey as large as itself. In the wild their diet consists mainly of fish, other reptiles, birds and mammals. The Nile crocodile is an ambush predator and can wait for several hours or days for the suitable moment to attack. Like other crocodilian species Nile crocodiles have an extremely powerful bite. Nile crocodiles are a very social species, sharing basking spots and large food sources such as schools of fish and big carcasses. There is a strict hierarchy that is determined by size, with large males at the top of the hierarchy. 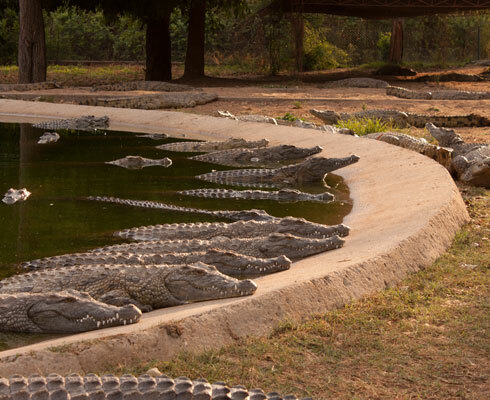 Like most other reptiles, Nile crocodiles lay eggs to reproduce, which are guarded by the female. Eggs are laid in a hole in the ground, with the mother remaining in the proximity to uncover the eggs at the time of hatch and to carry the new hatchlings in her mouth to the nearest water. The hatchlings are further protected by the mother for a period of time, but hunt by themselves from the time that they hatch. 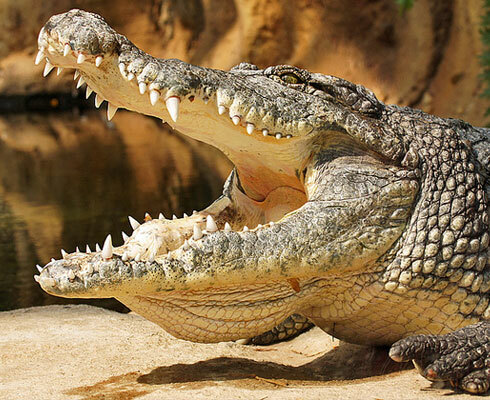 The Nile crocodile is one of the most dangerous species of crocodile. 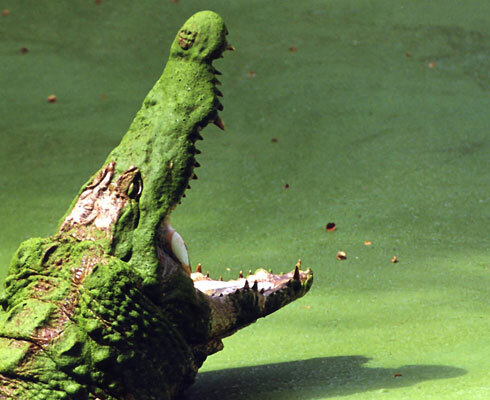 It is estimated that there are between 250,000 to 500,000 Nile crocodiles living in the wild. Although crocodile populations in the wild are relatively robust from a conservation standpoint, the species is listed on Appendix II of CITES, and as such utilisation of the species is closely monitored by the Parks and Wildlife Management Authority of Zimbabwe.